I will not be reviewing any more plays through the rest of 2016 in order to mourn the loss of my dear husband, Edwin (Ed) Brent Jones, who died Sunday, November 20, 2016, after a brave, hard-fought, seven-year battle with colorectal cancer. In Jewish tradition, I will take the next month to pause normal activity and to concentrate on my loss of my lover, best friend, and life companion. But come 2017, I will be ready to go full-steam ahead. 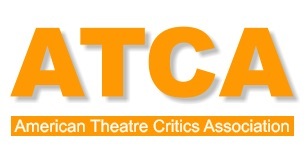 And I will still be posting the “2016 Eddys” for Top Ten Plays and Musicals (but just minus anything opening Nov. 20-December 31). With incredibly sad heart and near-broken spirit, I am writing to tell you that Ed's seven year battle is over. 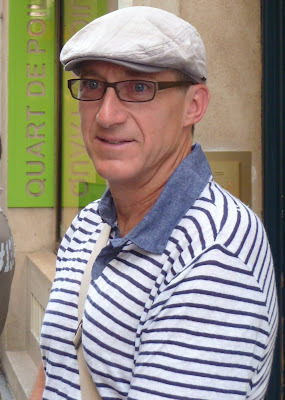 He died quickly and without pain in the middle of Saturday night -- first patting the space next to him for me to come sit down beside him, then grabbing my hand, and then keeling forward and passing from the life he lived so fully. He lived the ten weeks he was on hospice like he did the two-and-a-half years he was on Stage 4 chemotherapy treatments like he did the seven years, one week after his traumatic operation for colorectal cancer -- to the fullest. In these past ten weeks of at-home hospice, we had nine wonderful Shabbat dinners on Friday nights with our six kids, many of their friends, and some of our closest, nearby friends. Ed went, usually in wheel chair and with portable oxygen tank, to twenty-four plays and three full operas while on hospice care -- something our hospice medical personnel and their colleagues had never before seen. And best yet, he and I got to spend those final weeks just being close to each other as more and more, every small task (like swallowing a bite of pureed food) was a major effort that my hero did with no complaint but lots of effort. Because this is Thanksgiving week in the U.S., we are modifying how normally we might have scheduled Ed's service and burial. Tomorrow, November 22, we will hold a private, graveside service to follow the Jewish tradition of placing his body at its resting spot within a couple days of his dying. On Sunday, December 4, 6:30 p.m., we will hold a memorial service at Congregation Beth Am, 26790 Arastradero Road, Los Altos Hills; and I hope that all of you who are local will be able to attend. Our beloved Rabbi Janet Marder, who married us twice (once in 2005, strictly religious, and then in 2008, legally) will officiate. There will be a social gathering at the synagogue following the service. Ed will live forever on in my life and in many of yours in the stories we tell, the laughter we share of memories, and the courage he had to relish every moment of life G-d granted him. May those memories comfort us all now and in the days, months, and years to come. When a gloriously played overture pours forth hit after hit right out of the Great American Songbook, there is no doubt that the musical to follow is likely to be an evening to be savored. If the musical is one that has been revived on Broadway four times since its 1951 debut, has won multiple Tonys in both the premiere and subsequent outings, is now in its fifth national tour, and continues to grace stages at every level many times each year, then anticipation is even higher for a great evening with an old friend. The fact that the current touring show landing at SHN’s Golden Gate Theatre comes with a spectacularly stellar cast in an immensely impressive production means that Richard Rodgers’ (music) and Oscar Hammerstein II’s (lyrics and book) The King and I is a sure-fire guarantee to please both the first-timer and the aficionado of the famed pair’s fifth, joint creation. Based on a novel (Margaret Landon’s Anna and the King) that finds its roots in the actual King Mongkut, ruler of Siam 1861-1868, and in the British governess, Anna Leonowens, whom he hires to westernize his royal children, The King and I finds some truth in its story how the King is desperately trying to keep his country from falling under the rule of European powers as are many of his neighboring nations. History shows that the actual king in fact was able to keep tiny Siam independent through his efforts. Other aspects of the story Mr. Hammerstein pens are rooted in the historical occurrences, including the fact that the first Anna did live in the palace grounds until a brick house was built nearby for her. Whether that Anna put up quite the fuss to get her own house that Hammerstein makes so central in the telling of his Anna is doubtful – a battle of wills between the King and the governess that begins almost as soon as she steps off the boat and lets the awaiting Kralahome (the King’s prime minister) know in no uncertain terms that she expects that contract promise to be fulfilled. When her desired house is not first and foremost in her mind, Anna exudes a love and excitement for the adventure she has set upon with her young son, Louis (Graham Montgomery). Ms. Kelley’s first sung words spill out with crystal-clear chirpiness as she and Louis duet in “I Whistle a Happy Tune.” When she fondly reminisces of her late husband, Tom, and then calls out in song to say, “Hello, Young Lovers” (“whoever you are”), she so easily allows each note to float at a pace and with such distinctive singularity that as a listener, there is an ability to grab hold and relish each rich, beautiful syllable. And just as wonderful, while she sings, her broad smile reaches out into the outer and upper regions of the theatre – almost as if she were actually looking at and smiling at every individual there. Ms. Kelley becomes an Anna to deservedly join as an equal in a long line of all the famous ones before her (Gertrude Lawrence, Eileen Brennan, Maureen McGovern, Angela Lansbury, and many more including most recently, Tony-winning Kelli O’Hara). One of her best moments is not when she is singing but when she allows her total comedic side to shine as the King gets her finally to agree never to have her head any higher than his royal noggin and then proceeds to lower himself position by position until finally prostrate on the floor. Anna, in her enormously hooped skirt, becomes a mixture of Lucille Ball and Carol Burnett in her exaggerated twists and flops, grimaces and grins, as she makes sure her head in fact does not eclipse his. Her royal partner in this charade of wills is Jose Llana, who also played the King in the latest Broadway revival. Mr. Llana is richly and powerfully exact and expressive in song (as in “A Puzzlement”). But when his King speaks or sings, Mr. Llana’s ever-moving hands and eyebrows say as much or more as anything that comes out of his mouth. This King has his own stubborn streak that fully matches Anna’s; but he also has, like she, his own soft and humor-loving side. This is particularly true when his children parade in front of him in the eye-catching, warm-hearted, and funny “The March of the Siamese Children” (one of several masterful sets choreographed by Christopher Gattelli). Equal impressiveness of voice and acting come from a number of other key contributors. Lady Thiang, the head wife that so deeply loves her kingly husband (even with all his faults that she clearly acknowledges), delivers one of the evening’s highlights with “Something Wonderful.” Joan Almedilla explains to Anna her love for her King/husband with a voice that pleads in tone for Anna’s understanding while it also teaches what true love really means. With each ensuing stanza, a climatic intensity slowly approaches note by note, totally revealing the depth of her feelings for her husband. Love, in this case a forbidden one, is also the focus of relationship between Tuptim, the King’s newest wife and a ‘gift’ from the Burmese king, and the Burmese envoy and student who brings her to Siam, Lun Tha. Manna Nichols and Kavin Panmeechao beautifully blend their voices in notes clearly interlocked in love as they sing “We Kiss in a Shadow,” with Ms. Nichols reaching effortlessly to secure emotion-driven, tonal heights. The two once again draw huge audience praise as they sing of their doomed, not-to-be union: “In these dreams, I’ve loved you so that by now I think ... I will love being loved by you” (“I Have Dreamed”). 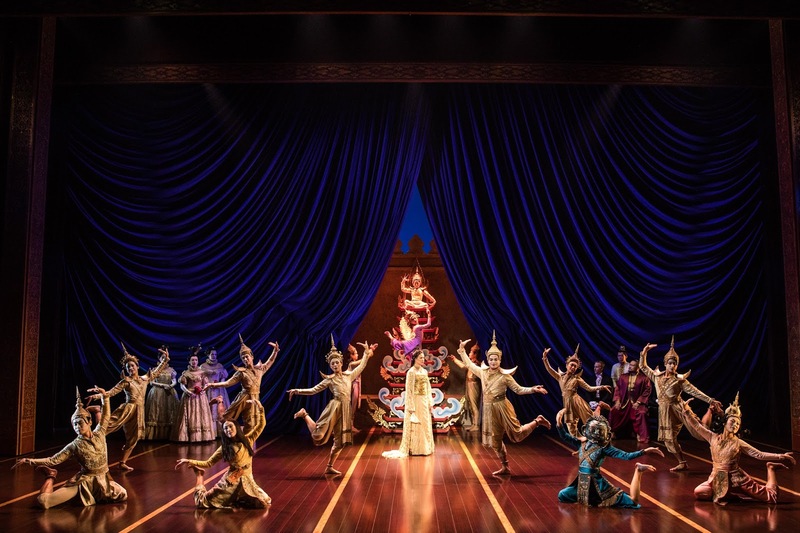 The Cast of "The King and I"
And there is so much more that could be said in praise of this magnificent musical and production. The totally charming “Getting to Know You” featuring Anna, the royal children and the wives; the visually, culturally, and musically show-stopper ballet, “The Small House of Uncle Thomas” narrated by Tuptim and presented by a host of royal singers and dancers; and of course the much-anticipated, fully appreciated “Shall We Dance?” where Anna teaches the King to waltz as they both step close to mutually expressed love – These are all favorite moments that returnees cannot help but savor and first-timers will never forget. Much of the evening’s impact also comes from a production team that has brought the awe and quality of New York’s Great White Way to Market Street’s Golden Gate Theatre in San Francisco. 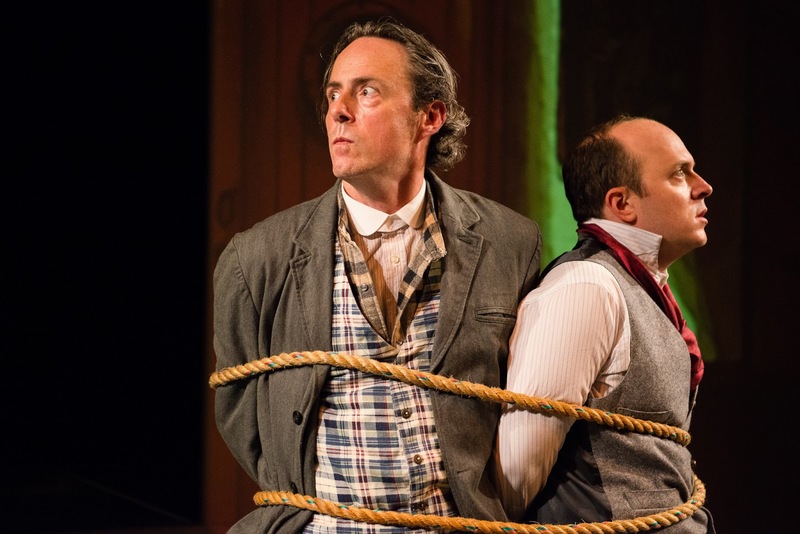 From the opening moments when a huge sea-faring boat emerges to dock in a bustling, red-sky Siam harbor, the sets designed by Michael Yeargan create an exotic set of scenes. His royal palace scenes majestically rise and shift with tall, oriental columns that dance in a slow ballet across the wide stage. Dotting the scenes with an array of color and with an enchanting mixture of East and West are the costumes of Catherine Uber. Donald Holder’s lighting and Scott Lehrer’s sound designs further suggest a faraway dreamland of the foreign but familiar. Bringing all the atmospheric magic together is the underlying beauty of the mixed local and touring orchestra, conducted by Gerald Steichen who clearly knows how to take a Richard Rodgers score and ensure it both recalls what we fondly remember as well as makes it all sound once again fresh and exciting. And now this reviewer must confess: I love Rogers and Hammerstein musicals -- each and all of them. I always enter with both anticipation and with dread, hoping for another evening of being swept away in the well-loved music and story and yet afraid that my expectations are raised so high that disappointment is assured. With the current SHN presentation of the touring The King and I, I walked away elated with not the slightest bit of regret. 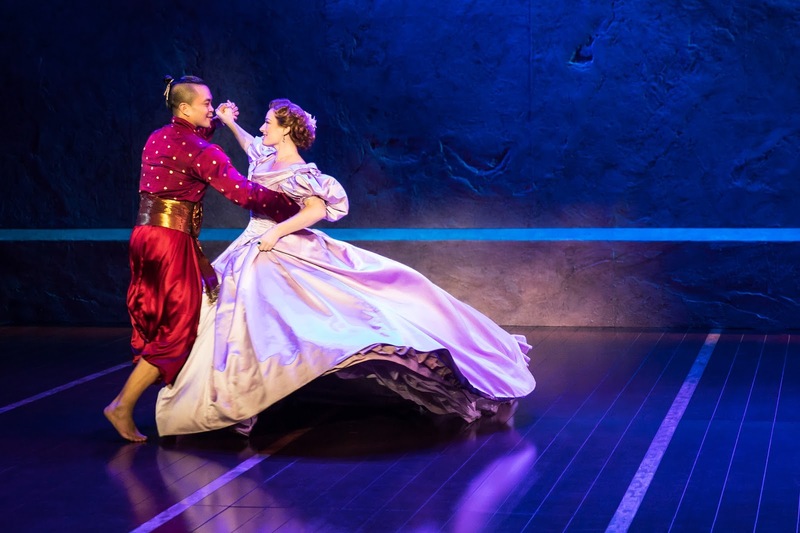 The King and I continues through December 11, 2016, at SHN’s Golden Gate Theatre, 1 Taylor Street, San Francisco. Tickets are available at Tickets are available at https://www.shnsf.com. But for all those who mostly grew up watching time and again Julie Andrews in the 1965 film version, many pleasant surprises are in store as they watch unfold before them the story of the nun postulant, Maria Rainer, who becomes nanny and ultimately mother of the seven von Trapp children. Songs appear in a different order, often sung by different people, in the stage version that took Broadway and ultimately the world by storm in 1959. There appears a couple of songs that most will not recognize: “How Can Love Survive” and “No Way to Stop It,” both featuring Captain von Trapp’s aristocratic fiancé, Elsa (Teri Hansen), and his funny and free-loading friend, Max (Merwin Foard). Missing on the stage from the film version is Maria’s “I Have Confidence,” but this newest touring version has included the Maria/Captain duet “Something Good” that was not in the original stage musical but was a part of the 1965 film. But maybe the best difference in this latest touring version is Maria herself. The director Jack O’Brien searched the nation, auditioning hundreds of potential Marias before settling on a current student at New York’s Pace University, Kerstin Anderson. 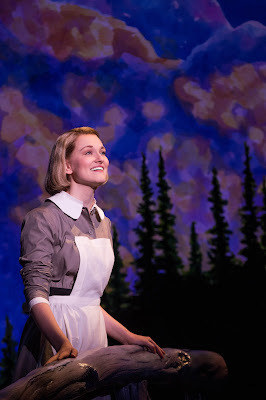 This Maria is barely older in appearance or attributes than the oldest von Trapp daughter, Liesl, rather than the more mature version of Julie Andrews, Mary Martin, or the typical scores who have followed them on stages everywhere. Ms. Anderson is a bit awkward and clumsy; sometimes over-the-top enthusiastic; quick to humble in embarrassment, and a lot wide-eyed, fearless, and physically rambunctious in ways that are delightful, refreshing, and energizing. 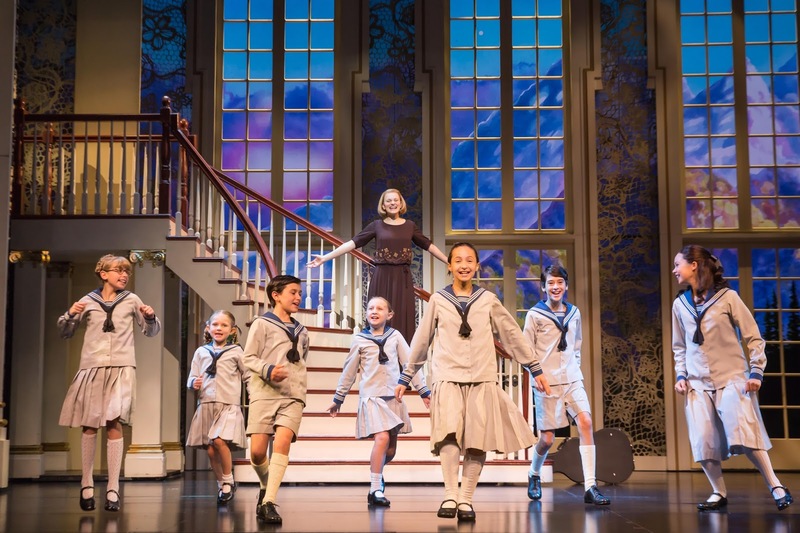 There is a sense of being still a kid herself, especially in the beginning of the play; and even as she falls in love with the Captain, it really feels as if this is a teenager at heart falling head over heels for the first time. But most importantly, this Maria can sing. Wow, can she sing! As soon as the much-anticipated, first notes of the musical’s title song spring forth, we hear a voice as clear and crisp as the mountain air where she has escaped the abbey for an afternoon’s hike. As she proceeds to romp one by one through audience favorites like “Do, Re, Me,” “My Favorite Things,” or “The Lonely Goatherd” (often accompanied by others like one or all of the children or the Mother Abbess), Ms. Anderson sings with effervescence, with a feeling of spontaneity, and with an electric energy that sparkles but never over-shocks. She also jumps, rolls, dances, and slides all over the stage with contagious happiness and zest for life; but she always has both feet solid on the ground when the moment calls for a maturity and sagacity many her age and big-stage experience might not yet be able to garner. 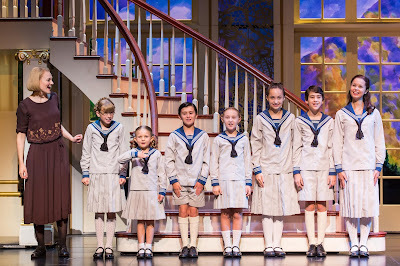 And everywhere around her on the stage -- from the youngest cast member (six-year-old Anika Lore Hatch as Gretl) to those much older -- are voices and personalities that equally excel and sell their cherished characters. Melody Betts is particularly a standout as the Mother Abbess. The statuesque posture, folded arms, and stern-face whose eyes betray with their softness of a loving and sympathetic heart brings the required dignity for the head of the nunnery. However, this Mother Abbess stuns both Maria and the audience when she totally lets loose with girl-like delight as she recalls with Maria a childhood favorite song (“My Favorite Things”). When later she sends away from the abbey a Maria scared to face the love she has for Captain von Trapp, her “Climb Every Mountain” begins with resonate reflection and parent-like advice in its tone, building to a climax that shakes the rafters with a delivery that is singular and unique but entirely captivating in sound. Excellent also in the ability to provide his individual flair to songs that we have heard other, more famous people sing over and over again is Ben Davis as Captain von Trapp. 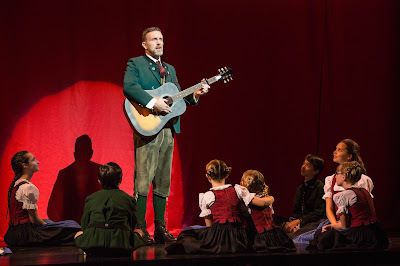 His deep baritone moves hearts and brings tears when he reminds us of the courage it sometimes takes to face at all odds hate, xenophobia, and possible persecution as he sings the Austrian homeland folk song “Edelweiss” in the face of the German Nazi’s ready to cart him away. But he also lets his earlier militaristic manner of naval whistles used to march his children before him to be inspected give way to a softer, gentler side that comes out in beautiful smoothness in a reprise with the children of “The Sound of Music” and that romances Maria in “Something Good” where his newly discovered love shines through in a powerful voice that never pushes but flows with palpable strength. 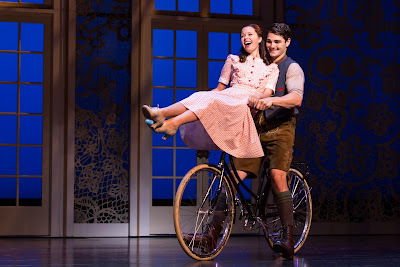 With much fun in teasing and tempting each other, the teen about to become a woman, Liesl (Paige Silvester) and her desired-boyfriend (but soon to become a Nazi), Rolf (Austin Colby), triumph in “Sixteen Going on Seventeen,” a number thoroughly enjoyable in both delivered vocals and choreography. The coy manners they use to approach, back off, and then finally connect in a kiss are perfectly directed and enacted, all enhanced by singing voices that shudder and shimmer with the excitement of their young love. Whether popping up and down like jumping jacks in “Do, Re, Mi,” reenacting on Maria’s bed the story of “The Lonely Goatherd,” or forming a human cookoo clock while singing “So Long, Farewell,” these kids sing, dance, and act with full ebullience and excitement that can do nothing but bring full smiles to everyone watching. Their voices individually ring with striking clarity that speaks of maturity beyond their years and yet also with the fun and freshness appropriate for each of their ages. Like the scenes we all remember from the Oscar-winning movie, every time the seven children take the stage, they pretty much steal the show. Whether popping up and down like jumping jacks in “Do, Re, Mi,” reenacting on Maria’s bed the story of “The Lonely Goatherd,” or forming a human cookoo clock while singing “So Long, Farewell,” these kids sing, dance, and act with full ebullience and excitement that can do nothing but bring full smiles to everyone watching. Their voices individually ring with striking clarity that speaks of maturity beyond their years and yet also with the fun and freshness appropriate for each of their ages. The touring sets of Douglas W. Schmidt do the best they can to evoke the beauty and vastness of the background Alps, the solemn and holy serenity of the darkened abbey, and the light airiness of the von Trapp mansion with its high windows. However, it is the lighting design of Natasha Katz that particularly is noteworthy with its glorious colors, subtle nuances, and scene-setting moods. 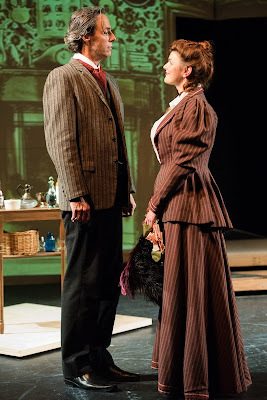 Jane Greenwood’s costumes also add much color, humor, time/geography definition, and beauty to the staging. Jay Alger conducts everyone’s favorite score that is nobly, elegantly, and gleefully played by seventeen orchestra members. By the way, if anyone regrets that a much-beloved song has come and gone too soon, then that person should take heart. 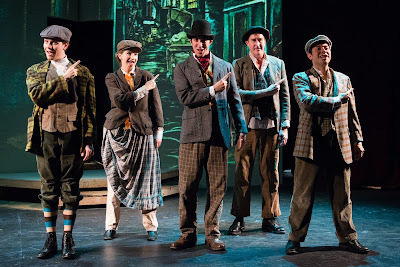 There are no less than eight reprises in this staged version -- some short, some the entire song again – which some patrons may welcome with eager applause but which others may find themselves looking mildly annoyed at their watches. The story of a governess who arrives in a home of seven children; wins them over with her singing, spirit, and sincerity; discovers love with the widowed father to answer the question should she be a nun or not, and then escapes the invading Nazis with her new family from their native Austria – the story known so well by so many still never fails to thrill and inspire almost sixty years after its Great White Way premiere. 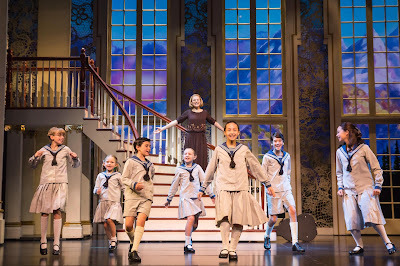 That is doubly true when an audience once again is rewarded with a Sound of Music so well-cast, superbly directed, and creatively produced as can now be seen at Broadway San Jose. The Sound of Music closes November 13, 2016 at the San Jose Center for the Performing Arts, 255 South Almaden Boulevard, San Jose. Tickets are available online at http://broadwaysanjose.com. Roneet Aliza Rahamim (Anne) and Cast of "The Diary of Anne Frank"
For a while, we forget the family’s eventual demise as we settle down to watch The Diary of Anne Frank emerge from the pages on which the Anne in front of us diligently writes. Palo Alto Players presents the 1955 Pulitzer Prize for Drama by Frances Goodrich and Albert Hackett -- further adapted in 1977 after more of Anne’s original diary was published by Wendy Kesselman -- in a superbly directed production and with an ensemble of actors who pull us into their individual and collective stories in ways that shake us to our very core. The Diary of Anne Frank continues through November 20, 2016, at the Lucie Stern Theatre, 1305 Middlefield Road, Palo Alto. Tickets are available at www.paplayer.org or by calling 650-329-0891. Nineteen years and still running on both Broadway and in Tokyo. Eighteen years in the West End of London and sixteen years in Hamburg, Germany. Extended runs and national tours on every continent except Antarctica. And now, yet another touring production arrives in San Francisco’s Orpheum Theatre for a two-month stand. Is there any doubt that Disney’s The Lion King – the most profitable musical ever – still reigns supreme and may hang onto its royal throne for as long or longer than Queen Elizabeth II herself? The now-familiar story includes thematic strands of honoring and protecting family and community bonds, of betrayal and murder as well as lies and unwarranted guilt, of environmental disaster brought on by ruling neglect, of readying the younger generation for an inevitable future time of being in charge, and of a son who must leave home in order to grow to be the man his father and greater clan need him to be. The telling is peppered in full Disney style with lots of one-liners that adults enjoy even more than the kids; with quirky sorts who join up with the story’s hero to be both lovable and hilarious sidekicks and loyal pals; and with visuals that are high-color, fantastical, and eye-popping. 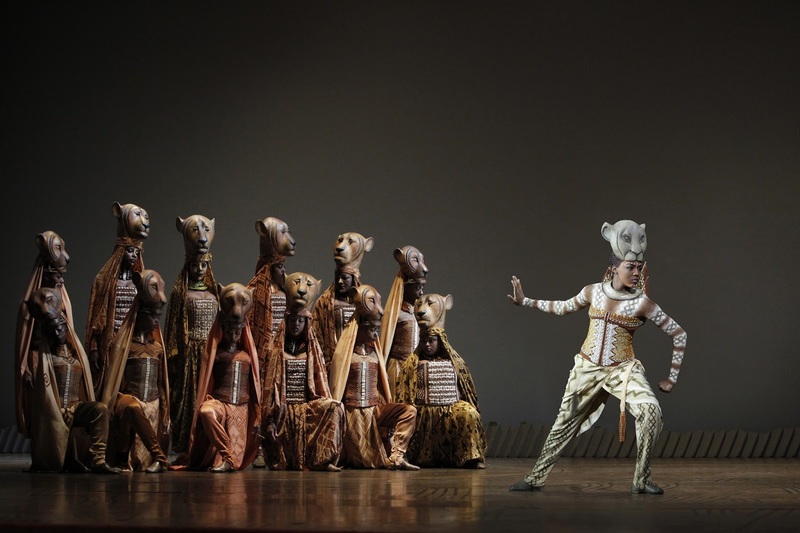 And then there is the aforementioned puppetry mastery as well as Tony-winning masks and costumes of Taymor and Curry. 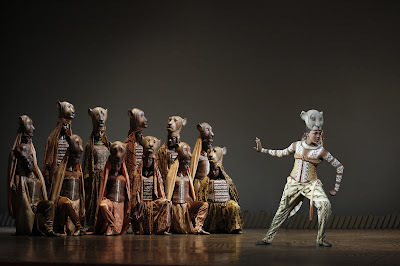 Lion heads rise high above the actors below, only to swoop at neck’s bending to cover a painted human face and to allow the animal side fully to take over. Animals are sometimes full-size puppets walking alongside their background manipulators; other times they come to life mostly hiding the actors with animal and human melting into one beautiful being of the wild. Masks large and larger announce an approaching wildebeest stampede. Birds of beauty, prey, and scavenger fly high overhead, swung in slow circles and patterns by the brightly colored humans below. Coming in a close second is the deliciously sinister Scar, jealous and ambitious brother to the king. Mark Campbell completely fulfills the Disney-required model as the story’s necessary evil force to be finally conquered in a pitched hand-to-hand battle by the handsome prince. At first, he is humorous in a sleazy, slithering way; but as the plot thickens, he transforms to just the kind of villain audiences love to hate but cannot get enough of. Equally impressive are the steady demeanor and deep voice of the father and king, Mufasa (Gerald Ramsey) and the multi-pitched squawks and neck stretches and flops of his funny horn-billed advisor, Zazu (Drew Hirshfield). With cartoon-worthy voices and animation-like moves and antics, Timon the meerkat (Nick Cordileone) and Pumbaa the warthog (Ben Liptiz, veteran of over 5000 performances in this role) are a comic duo that are visually a hoot and a holler and that help deliver one of the night’s most-known and most-beloved numbers, “Hakuna Matata.” Mr. Liptiz is particularly memorable as he sings and acts with wonderful heart and humor in a voice that totally fits his smelly, bony warthog body with its oversized, smiling head. And not to be over-looked in this menagerie of lovable African misfits are the shrieking, cackling, and full-on-guffawing hyenas Shenzi (Tiffany Denise Hobbs), Banzai (Keith Bennett), and Ed (Robbie Swift) who may at the core all be bad types but who are also laugh-producing and welcomed parts of this multi-faceted cast. BJ Covington and Meilani Cisneros are the high-voiced, playful, and impish Young Simba and Young Nala (alternating the roles with Jordan Williams and Savannah Fleisher). The two are part of a large, bright color-drenched number with Zasu and the entire ensemble, “I Just Can’t Wait to Be King,” in which bizarre and delightful animal/bird-like characters right out of a Dr. Seuss book appear with them. Nia Holloway is the older Nala of Act 2 and brings both dignity and bravery worthy of a young princess as well as a pleasing and impressive set of vocals. But the real surprise of opening night was the stand-by actor, Jalen Harris, who stepped in for the regular Dashuan Young as the late-teen Simba of Act Two. While he fit right in with the foolishness and friendly poking and joking of Timon and Pumbaa, he was especially splendid when Simba seeks his familial roots and heritage in “Endless Nights.” When he sings, “I know that the night must end and that the clouds must clear,” this Simba does not push or strain but just lets his crystal clear tones float with reflective desperation as he searches for the confidence that finally comes when he triumphs, “The sun will rise.” Kudos to Mr. Harris for a substitution that played like a headline starring role. Garth Fagan’s choreography is strikingly beautiful in the lionesses’ hypnotic “Shadowland” and is wild, funny, and a little scary as the hyena fill both aisles and stage in “The Madness of King Scar.” And like the opening of the show itself, the panoramic beginning of the second act as directed by Julie Taymor is pure magic with leaping animals, flying birds, and the choral mastery of the entire ensemble in “One by One.” The changing scenic touches of Richard Hudson (simplified somewhat from Broadway for the touring company) and the shadows, silhouettes, and contrasting hues of Donald Holder’s lighting round out a show that keeps the eyes constantly moving to capture it all. The one major fault of opening night was a sound issue that caused a first-act interruption of nearly a half hour, making an evening already long almost intolerably longer for many of the younger (and even older) audience members. Hopefully, this was truly a once-in-a-tour type of occurrence. Fortunately, a slinking cheetah, twinkling fireflies, scampering mouse shadow puppet, circling buzzards, graceful gazelle wheels, and dozens of other inhabitants of the African plain helped everyone forget the night’s one aberration. Looking at all the exiting smiling faces and listening to the collective humming of the various songs so engrained in most of us, I am fairly certain that the current The Lion King playing at SHN’s Orpheum Theatre is almost, if not totally, as good as any version any of us might have seen in the past two decades -- here or in Sydney, New York, Amsterdam, or wherever. 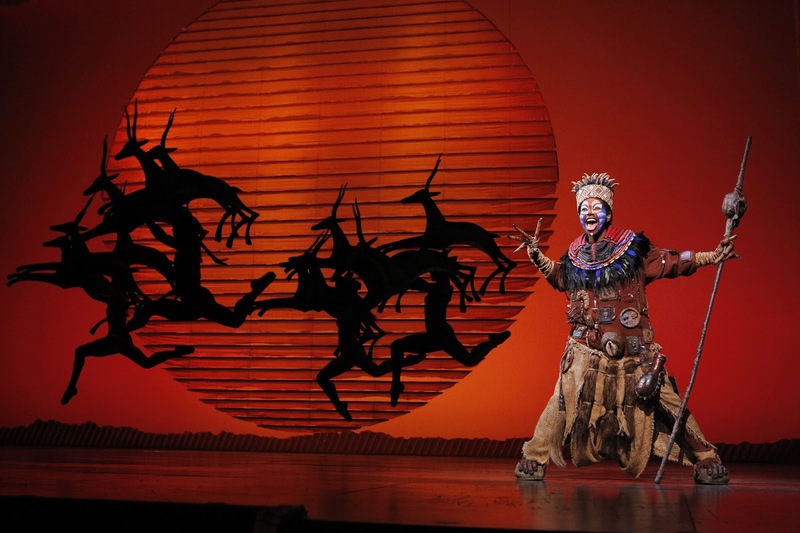 The Lion King continues through December 31, 2016 at the SHN Orpheum Theatre, 1192 Market Street, San Francisco. Tickets are available at https://www.shnsf.com.